For many that are building a pc, more money than is necessary is spent on the case for your components. Whilst it is important that you get a high quality case, this does not mean you need to spend the earth getting it. The majority of the cases out there have a lot of features included in them that you don’t really need. One such area would be opting for a windowed case. 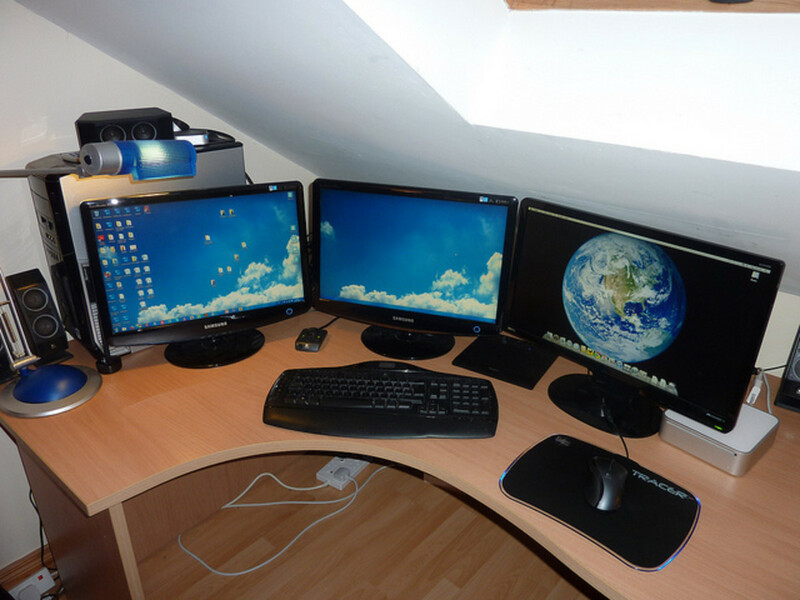 Whilst it may look nice, you need to consider where the pc is going to be placed. Are you even going to be able to see the contents of it? If not, there’s no need to buy a windowed case. Doing so would only bump up the price due to the materials needed. The second area you need to look into is if you need to install a water cooling radiator into your pc. If it is the case that you won’t be water cooling your PC, then there is no need for you to spend extra money on a case that supports radiator mounting. This can actually save you quite a bit of money. One thing we wouldn’t recommend though is getting a case with a built in power supply. Generally, getting a budget case with a power supply included results in you getting a sub par PSU. Even if your pc build is on the budget side, getting a more expensive power supply can actually benefit you. This is due to the fact that more expensive supplies are actually more efficient, but they also have protection measures in place to prevent unnatural loads damaging your components. 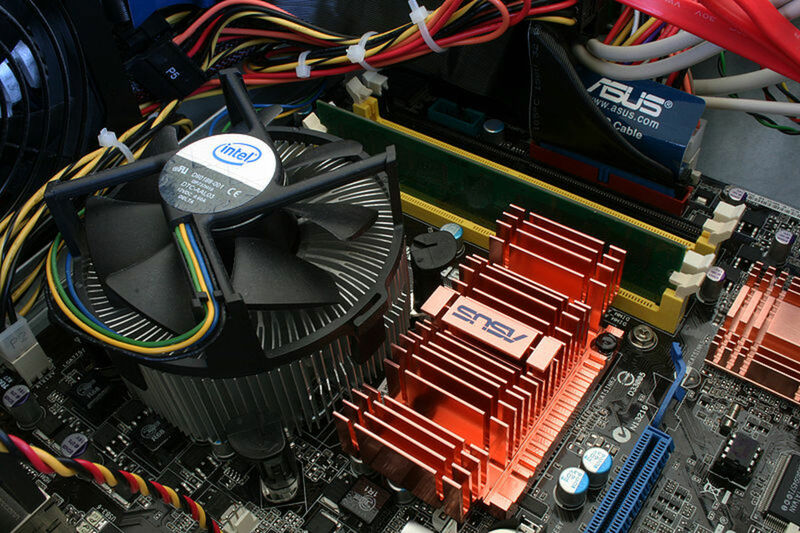 it is also important to note that the form factor of the case can impact on the price of it. These range from itx (the smallest form factor) to Atx (largest form factor). 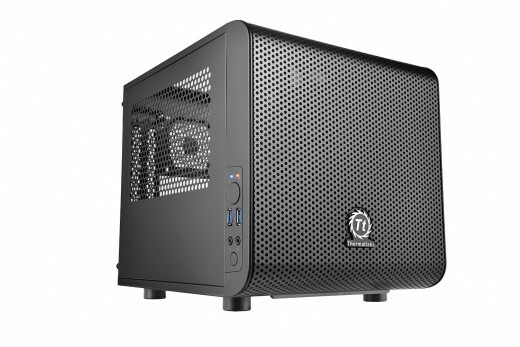 You would think that an itx case would be the cheapest; however this is not always the case. In that regard, if you have the space for it, it might be a better option to buy an atx case which is a bit cheaper. It will also be easier to build the system since you’ve got more room in the case. This can also improve the thermals in the case itself, something which you need to consider in an itx case. After countless hours online, we have come up with a list of what we deem to be the best budget PC cases. The Corsair Carbide actually goes against what we had mentioned above regarding getting a case with a side window. At less than the price of the latest AAA video game, this case has an extremely large side window without breaking the bank. the case itself is feature rich. One area that it pips the competition to the post over is the fact that it has space to have to optical drives in it. Whilst many have shunned optical media in the last 5 years, it still has its place on a pc and the fact that you can have two of these drives in this case is a nice touch. It is certainly cheaper to install a drive this way rather opt for an external optical drive, which would also take up one of the USB ports on the pc. Speaking of USB ports, this case has two USB 3.0 ports on the front for ease of access for any device that you need to plug in. this is a lot better than having to move the case in order to plug the device into the back of the motherboard. There are also a further 4 mounting points inside the case that you can use for either SSDs or HDDs. Whilst it may be the fact that you don’t need those amount of drives at the point of the build, it is good to know that the option is there in the future to expand the storage on your pc. The cooling potential of the case is also spot on. Included with it is one, 120mm fan along with the ability to add 4 more into the case. This is actually really good value for money since right off of the bat you have a way to cool your rig. Linked to this is the fact that the air intake on the front can actually support two fans, and it also has a removable dust filter to make sure that the inside of your pc is as clean as possible. It is also easy to employ cable management in this case with there being cable cut outs to hide a log of the cables behind the motherboard tray. it would have been nice if there had been rubber grommets included, but considering this is a budget case, this was not an expected feature. 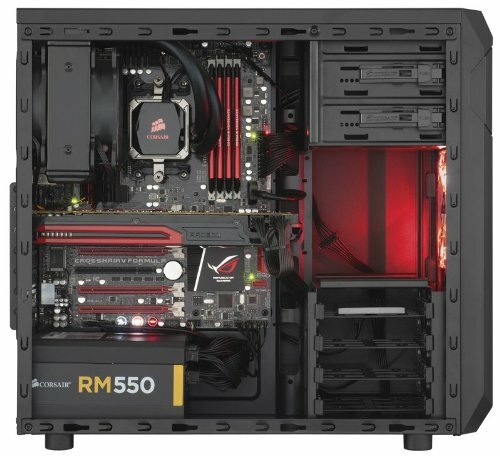 Also, Amazon is currently offering a corsair 500 watt 80 plus bronze certified power supply with this case at an extra cost as part of a bundle. However you are able to buy the case on its own if you have a preferred power supply brand. This isn’t an example of a case as mentioned above whereby the case and psu are included in it for a really low price. If your heart is set on building an itx small form factor pc, then the best possible option for you is to purchase the Thermaltake Core V1. we’ll start off by pointing out that this comes with a 3 year warranty, and with the excellent customer support from Thermaltake, you’re in good hands should there be any issues with your case. this has been built in such a way that it makes use of the space available in the most efficient way as possible. it is spacious enough inside to fit a GTX 970 although it is best to check the specific length of the gpu you have in mind to see if it’ll fit into this case. like the corsair mentioned above, it too has 2 USB 3.0 ports at the front of the case, as well as being able to plug in a mic and headphones. One area that it falls short in however is that there is no option to install an optical drive. however this isn’t a criticism of this case as itx cases by and large do not have this feature available. 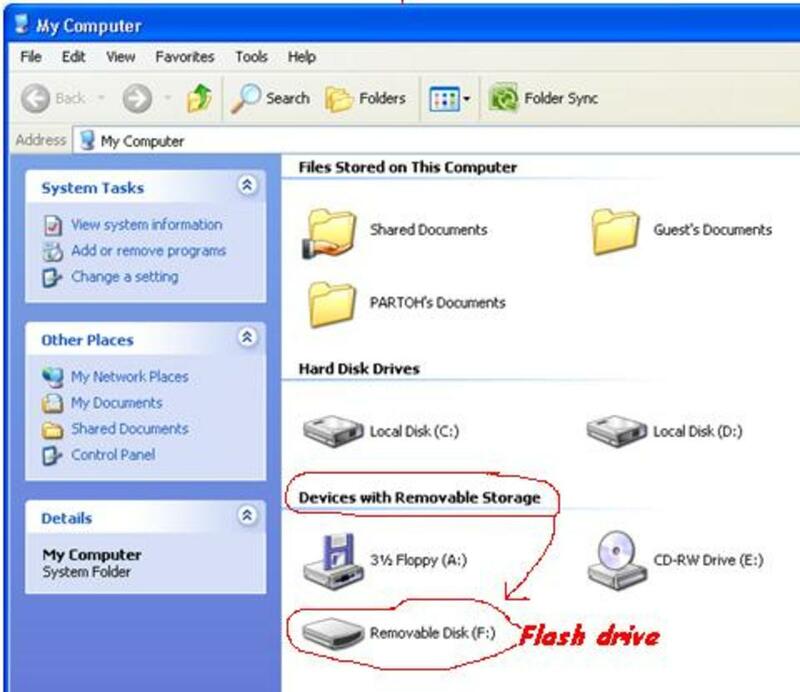 There is however external optical drives available should you need to use one. There is however a massive 200mm fan included at the front of the case, along with a dust filter to help keep the dirt out. this also helps to keep the case fairly cool which is always a worry when you’re using such a small case where the space is lacking and can normally increase the temperatures in it. In terms of storage for hard drives, there are two 3.5 inch hard drive bays. You would also be able to install 2.5 inch solid state drives instead by using an adapter bracket. What sets this apart from other itx cases is the fact that this has a chamber design to it which allows you to lay out the build in a way that you are happy with. It also has easily removable side panels via thumbscrews which is ideal for quickly accessing the PC parts for whatever reason. Both of these cases are ideal budget PC cases and are key examples that you can get high quality PC cases at low prices. They are both from companies with strong backgrounds in the case industry and are backed by excellent customer service. They therefore both come highly recommended and should be seriously considered when you are thinking of building your next PC. Added to this is that because they are from reputable brands, you can be assured that there won't be any jaggy edges inside the case, something which you often find with cheaper, generic brands. The most important thing though is that when you're building your PC is to have fun! It's an enjoyable process building a PC, and making sure you have the right case will make the experience more enjoyable. What do you look for in a PC Case?